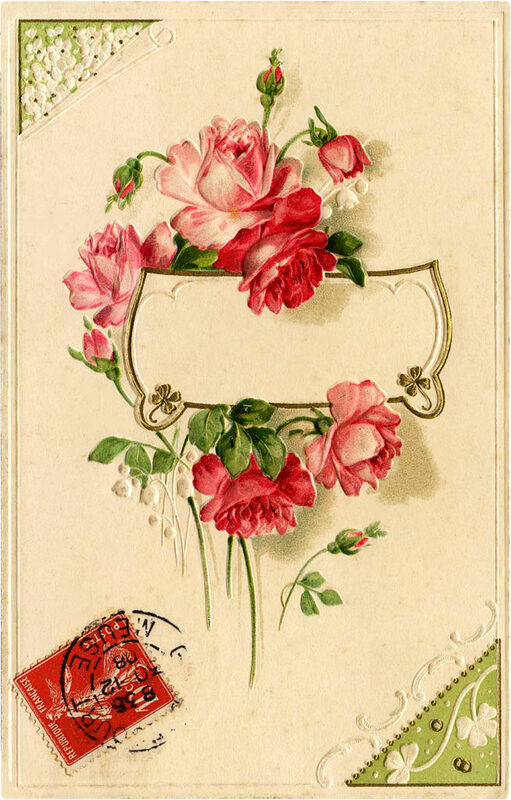 Delightful Vintage Stamped French Pink Rose Postcard! Today I’m sharing this Delightful Vintage Stamped French Pink Rose Postcard! This lovely, embossed cream card has a central image of light and dark pink roses circling an open label area where you could place text. There are two four-leaf clovers on the thin gold label frame. A bright red canceled French postage stamp is in the bottom corner. Little triangles in the two corners have floral motifs. I could see this as a place card or even the inspiration for a Garden or Good Luck junk journal Project! « The Best Printers for Crafting! Lots of pretties, downloaded and printed gorgeous orchid, wow. Loved other flowers also. Thanks so much for sharing all these wonderful images. It sure is lovely! The colours are beautiful!